Samantha, affectionately known as Ms. Sam, was born and raised in the mountains of West Virginia. She caught the travel bug early on in life and after graduating high school moved to Lake Tahoe. It was at Sierra Nevada College that she received her bachelor of fine arts in ceramics and was first introduced to Waldorf education. 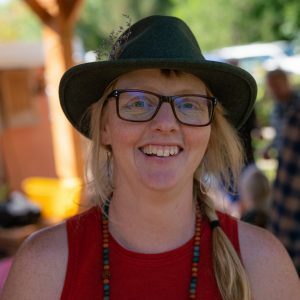 She first began teaching at HeartTo HandSchool now known as Desert Sage Waldorf School in Reno, Nevada. While teaching there she received her Waldorf Early Childhood certification at Rudolph Steiner College and truly learned to love the Waldorf philosophy. Samantha and her husband Caleb moved to Boulder in 2011 when she started teaching at Boulder Waldorf Kindergarten. You can often find Samantha and Caleb with their car packed to the brim full of camping and climbing gear ready for their next adventure.